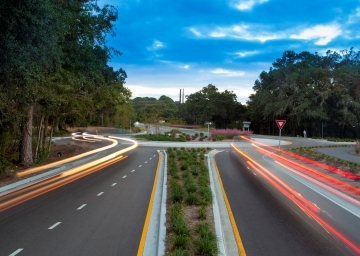 ICE was selected to provide design engineering services for intersection improvements at Marshland Road and Mathews Drive. 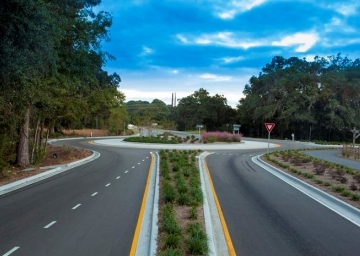 A roundabout was designed to replace the current T-Intersection. ICE was challenged with providing plans that would tie into the superelevated, 2-lane Mathews Drive. 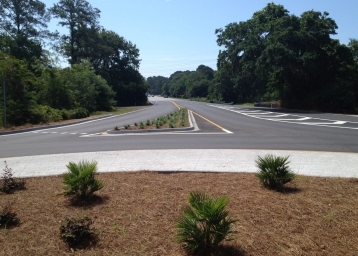 The access was reduced on Mathews from two to one lane to allow for the construction of a single lane roundabout with a slip lane from Marshland Road. 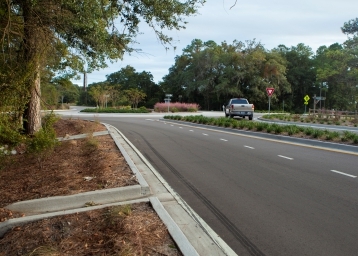 Care was taken when designing the roadway footprint and drainage to reduce the impact on the surrounding trees and minimize right-of-way acquisitions. Designs also include a reconfiguration of the sidewalk so that would it tie into the existing 10’ multi-use path. This project won an ACEC-SC Engineering Excellence Award in 2016. 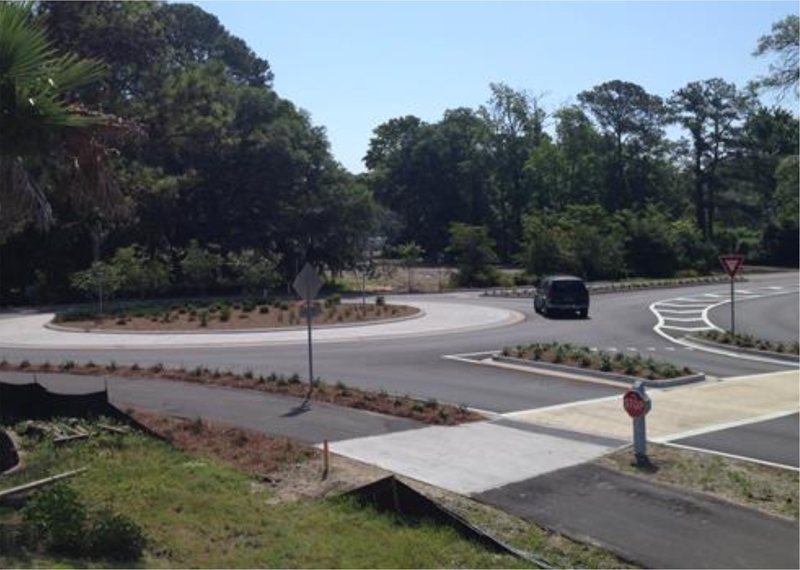 ICE provided design services for the Marshland Roundabout including roadway, drainage, traffic phasing, signing, pavement marking, right-of-way plats, and utility coordination.